A Birmingham free school opened by the Prime Minister and hailed as the future of British education has been plunged into special measures after a damning Ofsted report - sparking four resignations. Perry Beeches III is among the five schools operated by Perry Beeches Academy Trust, led by renowned ‘superhead’ Liam Nolan. But the city centre school is now in special measures after a damning Ofsted report branded teaching ‘dull’ and criticised management performance and student behaviour. Headteacher Darren Foreman resigned days after the inspection in May. Now deputy head Vicky Haggart and assistant head Gurprite Lohia are stepping down at the end of next week. 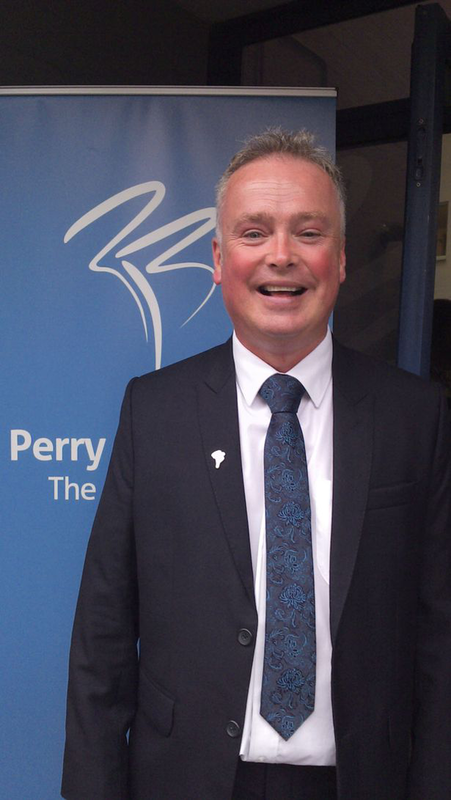 Chairman of governors Peter Richardson has also resigned. 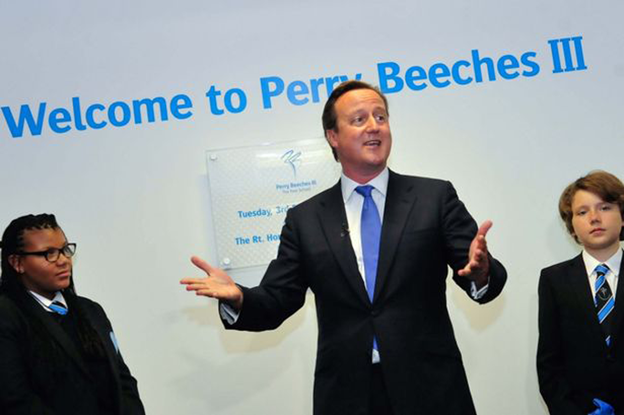 The free school was opened by David Cameron in September 2013 following the success of two earlier Perry Beeches schools in the group, Perry Beeches The Academy and Perry Beeches II - both rated as ‘outstanding’ by Ofsted. But the Ofsted report into Perry Beeches III, due to published tomorrow, criticised its teaching as “dull”. Leadership was also heavily criticised for having an “unrealistic and inaccurate” view of the school, leaving governors with the impression it was doing better than it was. Pupil behaviour was deemed to “require improvement”, with “low level” disruption and occasional bullying and racist comments identified by inspectors. Mr Nolan is chief executive of the Perry Beeches Academy Trust, which runs one academy and four free schools across Birmingham. He is appealing the Ofsted grading and has taken over as interim headteacher of Perry Beeches III, alongside former Perry Beeches II head, Jackie Powell. Mr Nolan said: “I’m a real believer in accountability and I believe people should be watching what I am doing and keeping us in check. But Mr Nolan has now pledged to “sort out” the crisis. “I wasn’t head here when we were inspected, it wasn’t on my watch,” he said. “But I’m rolling up my sleeves and getting stuck in. The Ofsted bombshell will also come as an embarrassment to the Government, which had pledged to open 500 new free schools across England by 2020, including at least six in Birmingham. David Cameron said the government-funded start-up schools were “raising standards and restoring discipline” over state schools. However, Ofsted has rated a quarter of the 93 mainstream free schools inspected across England so far as “inadequate” or “requiring improvement”. Meanwhile, Shadow Education Secretary Tristram Hunt says free schools lead to school places being created where they are not needed - a sentiment shared with Birmingham City Council’s Labour cabinet. Coun Brigid Jones, cabinet member for children’s services, recently lashed out at Mr Nolan after he announced plans to open his fifth free school in Small Heath in September. Coun Jones claims Perry Beeches V, which will open in Talbot Way, will create an “oversupply” of places – and will therefore jeopardise the future of other schools in the area. In a statement, a Department for Education spokesman said: "Liam Nolan and the Perry Beeches free schools are transforming the life chances of children in Birmingham, in some of the most deprived communities of the country. 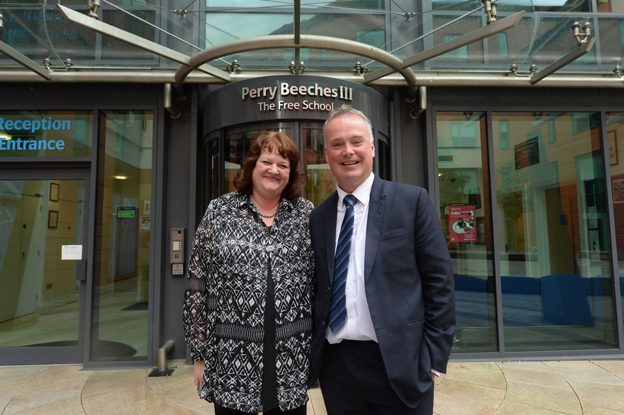 "The performance of Perry Beeches I and II has set the bar for schools across the rest of the country. "Swift action has already been taken to change the leadership of Perry Beeches III and to turn around the performance of the school."